One of the coolest Live’s features is the possibility to record a performance on the Session View to the Arrangement View. 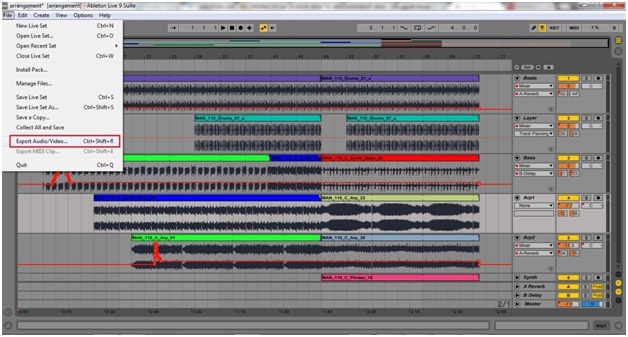 In the Session View, everything we record is stored as a clip and then we perform by playing clips over time. 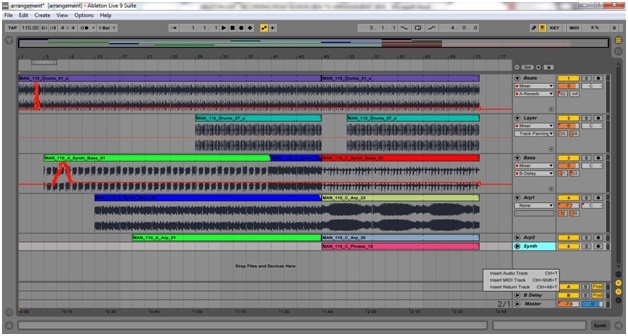 Another way of approach to Session View is to build a song in parts and then arrange it all into the Arrangement View (now you should understand why it’s named ‘arrangement’, right?). 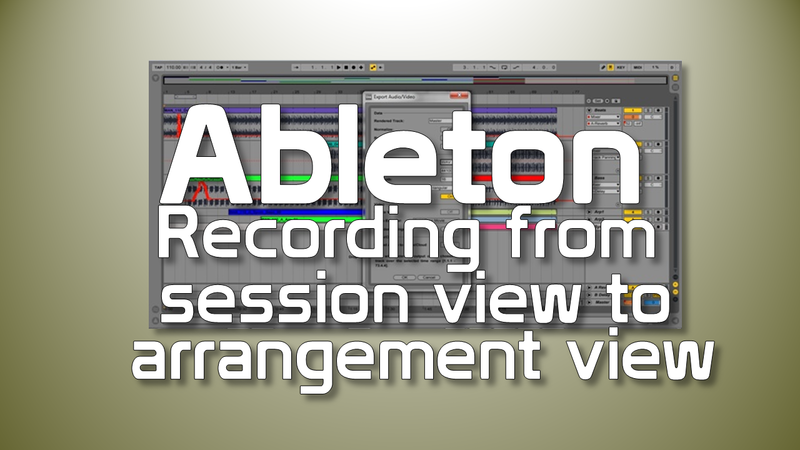 Whatever the reason is, let’s learn how to record from Session View to Arrangement View. Make sure that the arrangement position is set to 1.1.1 so that your performance will be recorded at the beginning of the grid. To do that, just click the stop button twice. 3. Start playing your performance in the Session View. Everything you play will be recorded in the exact order. Live will also record any knob, button or slide movement as well. Notice that you need to enable the Arrangement View for audition and editing by clicking on the Back to Arrangement button. 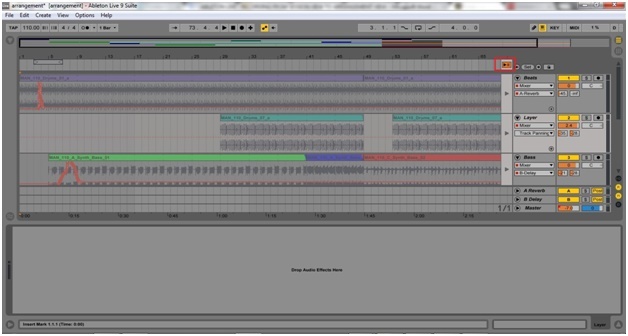 Hint: While other DAWs have the track menus placed at the left, Arrangement View places them at the right of the screen. The black arrows will help you to identify where there were real time changes. For example, in the Beats track, I made changes in the Send A button, which is a reverb effect. In the Layer track I changed the volume parameter; In the Arp 1 track, I changed volume and pan parameters and so on. 9. Everything in the Arrangement View can be edited. 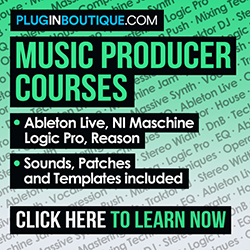 You can change an automation curve, mute tracks, delete knob movements, etc. 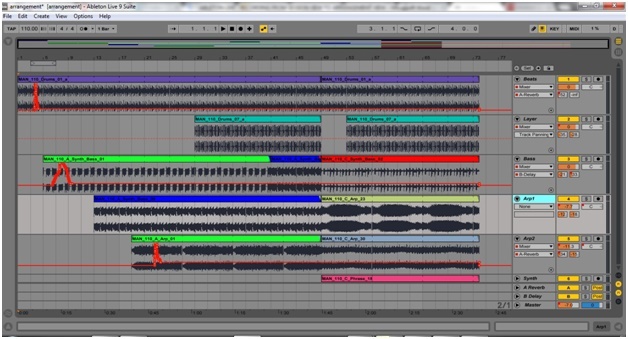 It’s also possible to record new material over the current one to keep improving the project. 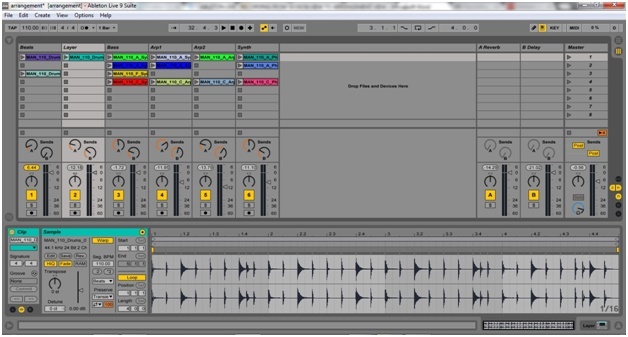 Click on an empty space from the Mixer Drop Area column and keep recording new tracks in the Arrangement View. 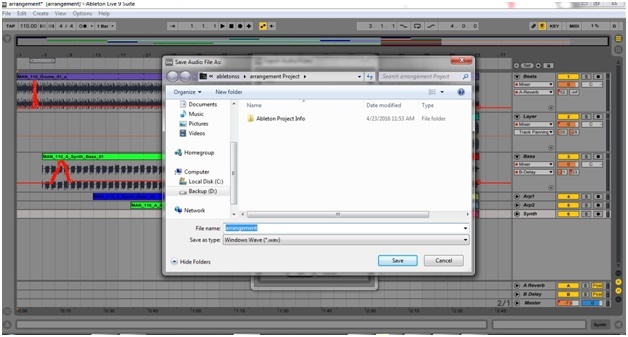 Remember to save your project so that the next time you open it the arrangement will be also stored. 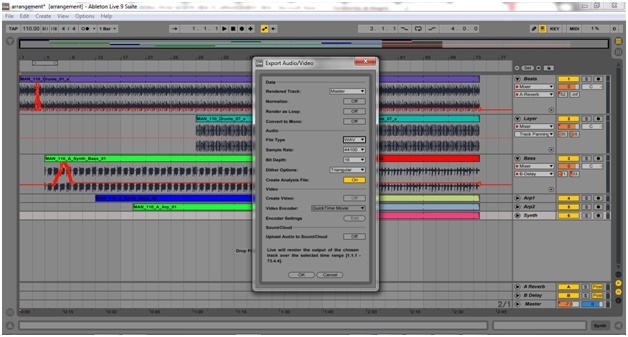 You can export the entire song or a particular track. In this case, I want to export all tracks as a single file, so I choose ‘Rendered Track: Master’ which means that I’m exporting all signals coming to my Master track. It’s possible to export as a WAV or AIFF file, and it’s possible to set the sample rate, bit depth, among other parameters. That’s it! 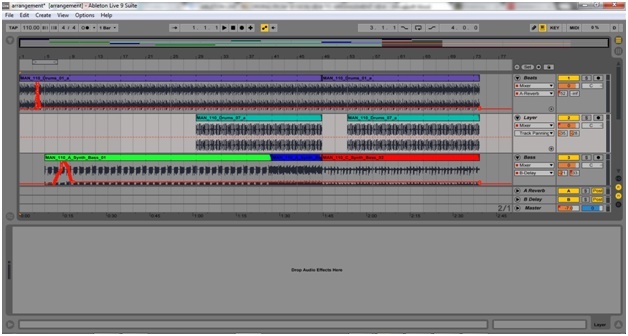 Recording your performance from the Session View to the Arrangement View is an easy and extremely pleasant activity.